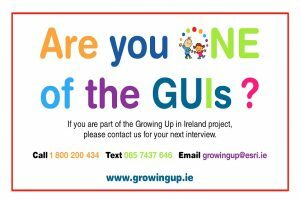 Growing Up in Ireland is a Government-funded study of children being carried out jointly by the ESRI and Trinity College Dublin. 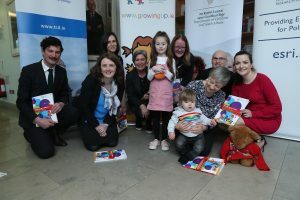 The study started in 2006 and follows the progress of two groups of children: 8,000 9-year-olds (Child Cohort/Cohort ’98) and 10,000 9-month-olds (Infant Cohort/Cohort ’08). 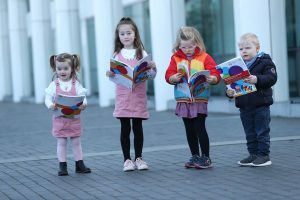 The members of the Child Cohort are now aged 20 years and those of the Infant Cohort are around 10 years old. 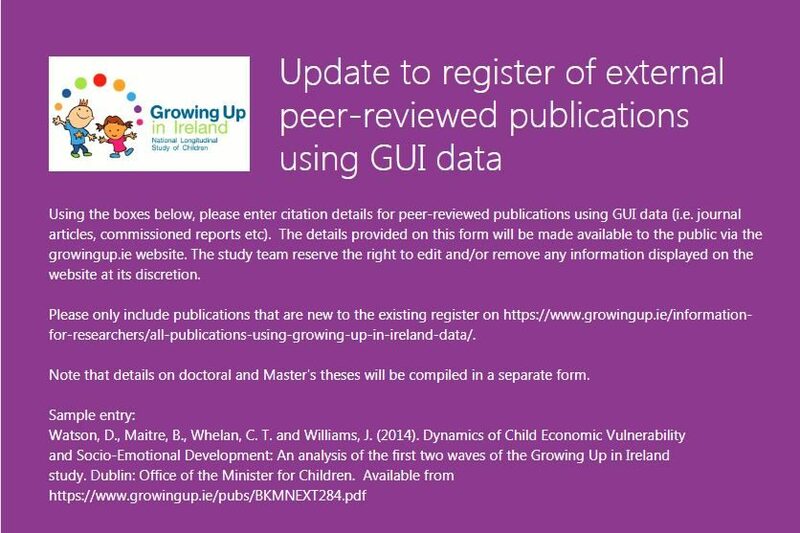 You can now inform the GUI team of new peer-reviewed publications and completed postgraduate theses using GUI data using online forms. More details on the external publications page. 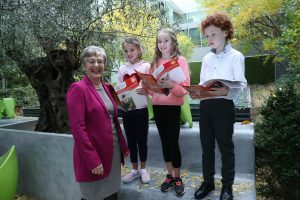 Minister Zappone opened the 10th Annual GUI Research Conference and launched the latest set of key findings from Cohort’08/Infant Cohort – Thursday 8th Nov. Pictured here with helpers Niamh, Jessica and Leo. The main phase of the Child Cohort at 20 years is underway. 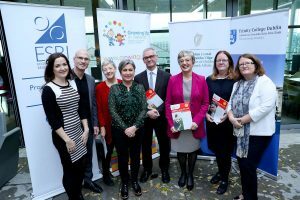 The Child Cohort at age 17/18 years has been completed and both the AMF and RMF files are now open to applications from researchers. Fieldwork for the main phase of the Infant Cohort at 9 years has been completed.